Google Play tips: Google Play store has an area called My apps & games. From here you can look at which apps you’ve downloaded, which were pre-loaded and the apps that you need to update. This is an excellent place to manage your apps within the Play Store and getting to it is easy-Google Play tips and tricks. .Open up the Google Play Store on your Android device. .Open the menu (the three horizontal lines at the top left of your screen). .Under the Apps & Games section you’ll see the My apps and & games link, tap this. .Now you should see a list of your installed apps. 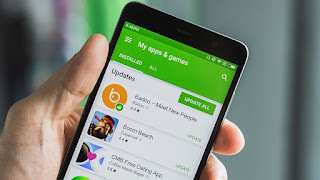 The Google Play Store has a tendency to download updates available for your applications at the wrong time: you can quickly say goodbye to your 3G/4G data package if you’re not careful..From the Google Play Store, go to your Settings, click Update Apps. 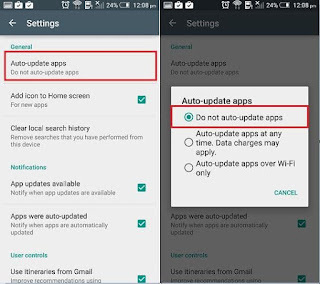 .Choose Do not automatically update applications. .It will then be up to you to choose when or where you want to update your applications! 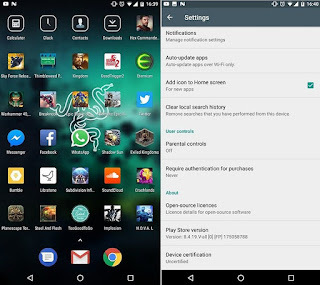 .Uncheck the Add icon to Home screen check box. 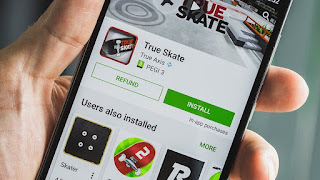 You can get refunds for Play Store purchases with a single tap; so long as you do it within two hours of buying the app. This should be plenty of time to find out if that new weather app actually works, or whether that game is as fun as the garish pictures made it out to be. .Once you’ve purchased an app, on its Play Store page you’ll see options to Install or Open. In addition, a Refund option should appear to the left of it. .Tap the refund button within two hours of your purchase to get your money back, no questions asked. If you notice that a child or dependent made this purchase without permission you can always change their privileges. .Just head into the Play Store, tap the menu icon and hit Settings. .Then choose For all purchases through Google Play on this device.